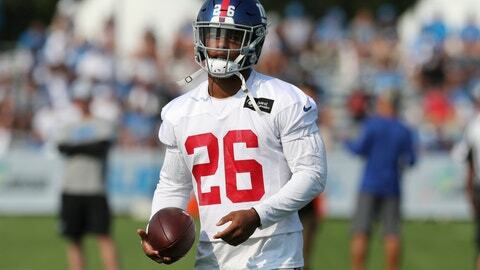 ALLEN PARK, Mich. (AP) — Saquon Barkley mostly stood and watched, resting his strained left hamstring as the New York Giants practiced against the Detroit Lions. Detroit is counting on him to improve its running game , which has ranked among the NFL’s worst in recent years. The team’s backup options at center include Wesley Johnson, who started 15 games for the New York Jets last season. NOTES: Giants LB Connor Barwin, who has an undisclosed injury, did not practice and said the team is letting him rest. … Lions President Rod Wood said the team is still looking into the possibility of placing a retractable roof on Ford Field.